Our department is involved in an array of outreach activities including demonstrations and interactive experiments. We work with students at UK and regional institutions as well as K-12 students in the local area. Read more about some examples of activities below, and contact us if you would like more information. Images from some of our recent demonstrations are shown below. Discovery Nights coming up at the Living Arts and Sciences Center of Kentucky. Middle School Demonstrations for Core Content Topics - This site provides suggested demonstrations and activities for topics in Kentucky's Core Content for middle schools. You can download a list of the demonstrations we offer as well as a list of the Core Contents annotated with suggested demonstrations for each topic. We welcome additional suggestions. If your group would like a visit from a member of our knowlegeable and enthusiastic outreach team, please email Prof. Anne-Frances Miller. We are happy to put together a program based on your interests, designed to complement your curriculum, or to inform you on current events. TEACHERS: we are organizing evening coffee hour-jam sessions wherein we will brainstorm new demonstrations and walk though some lasting favorites. Supplies will be on hand to try some out. 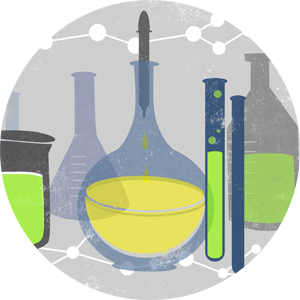 We aim to assemble a resource library of protocols that members of the group have found reliable and effective. We also look forward to a chance to meet one-another and form a community that can provide each of us with peer resources and colleagues. To add your name to our mailing list, please email Prof. Anne-Frances Miller. Highly recommended!! The University of Nottingham's Periodic Table of Videos. A site with sub-sites for every element and tons of information on each. A web page with links to many things chemical, including the electronic structures of different atoms. EPA slide show on climate change. Table of strengths of a variety of acids and bases. Strengths are quoted in terms of the acid or base's pKA. This site contains more advanced information but quite clearly explained. 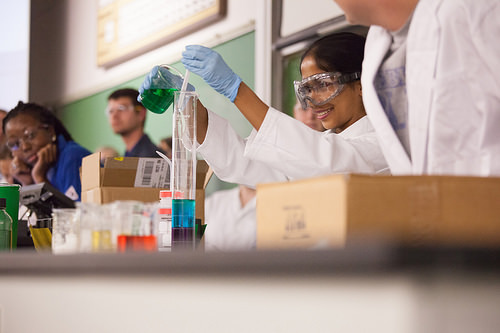 Chemistry demonstrations, in-class activities and links to many other informative sites aimed at a high-school level. Click Here. Lots of good chemistry demonstrations by topic. Demonstrations created by Indiana University. Cereal-box and CD spectroscope for viewing the colours that make up light from different sources. Another very nice spectroscope web page with ideas of what to do with your spectroscope.